Caring for Antiques – Looking after your Antique Ceramics and Glass. When caring for antiques and especially antique ceramics and glass we are caring for some of our most delicate possessions, however our ceramics and glass can also be amongst the most hard-wearing. 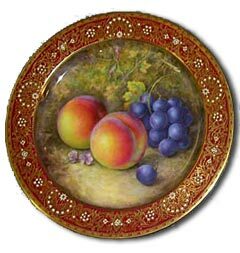 Cleaning antique ceramics or antique glass is relatively simple, but repair is rather more involved. Follow the few pointers below to ensure your antique pottery, porcelain and glass pieces remain in first class condition. And that you don’t inadvertently cause additional but easily avoidable damage. Always make sure your hands are clean and dry before handling antique glass or unglazed ceramics as greasy fingerprints can leave indelible marks. Don’t wear cotton gloves while handling antique ceramics or antique glass as your secure grip will be less than usual and always pick up an antique item by its soundest part, never by the handle, and always support the base. Make sure you take care of loose parts such as lids or covers, and check for weaknesses caused by restoration and cracks. Sunlight, bright light, humidity or variable temparatures shouldn’t affect your antique glass or your antique ceramics but if they have any restored areas then bright light or water can weaken, discolour or stain the adhesives used. If displaying valuable antique glass or ceramic objects in a cabinet or on a shelf make sure it is stable. Vibrations caused by normal household movement can cause the pieces to walk and fall off narrow edges. As added security and to protect your surfaces set felt or chamois leather pads, that can be cut to fit, beneath valuable antique items. Always put a separate container within a precious antique vase before setting the plant or cut flowers inside. 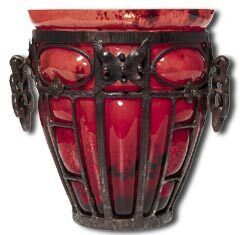 Place another protective pad between the inside of the antique vase and the container to guard against water stains. Only ever use sound uncracked plates or chargers as wall hangings and always use acrylic or plastic coated wall fittings that can be adjusted to fit the plate. Never, ever use metal plate hangers as they can corrode or if too tight can bite into the plate. Never immerse low fired earthenware such as delftware, faience or maiolica in water. They may have an unglazed foot rims or old cracks or chips which expose the porous surface beneath the glaze. Much safer to wipe them with cotton wool moistened with some mild soapy water. Items requiring special care – assuming they are objects of antique value and kept for display only, and which it is advisable simply to dust regularly are. 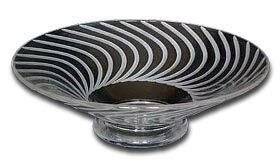 Crackle glass; the fine surface cracks can be aggravated by moisture. Cermics with metal or ormolu fittings or items restored or mended with iron rivets or staples. 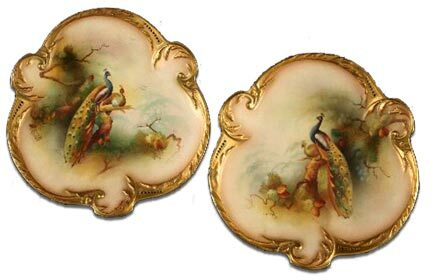 Cermics with gold leaf or delicate overglaze decoration which might flake easily. Removing Stains from Antique Ceramics and Glass. 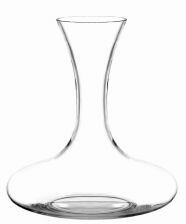 You may be able to shift tide marks from glass such as wine stains in a decanter with a solution of denture cleaner and warm water or with acetic acid or vinegar. Just leave your chosen mixture in the glass for 24hrs then rinse, drain and dry thoroughly. Methylated spirits or pure alcohol can be tried for stains caused by alcohol based perfumes, but change the alcohol every hour or so until the stain has gone. Ammonia or ordinary household bleach which contains chlorine will remove stains on most antique glass, as long as there is no gilding or other fragile decoration. NOTE: This is not suitable for ceramics as it may aggravate the stain or cause permanent discolouration. Instead for a soft or hard paste porcelain surface with no gilt or lustre decoration, obtain twenty volume hydrogen peroxide from a chemist and add a few drops of ammonia. Wear rubber gloves and dampen strips of cotton wool in the solution, then lay them over the stain or crack and leave for about an hour. Do not allow the strips to dry onto the surface. For improved results the item can be placed in a plastic bag to retain the moisture. Check regularly, and you may have to renew the dressing several times. 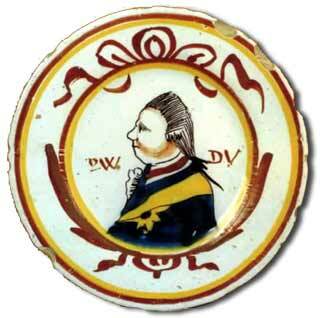 Enamel painted decoration on ceramics comes to no harm using this technique but do not use it on pale blue or greenish-blue 19thC. enamels, as they can disappear. The chemicals in them can act as a solvent on glass that is stained with a coloured varnish, on a gilt or varnished frame and on lead or putty. Remove as much dirt as possible from indoor glass with a soft chamois leather. For more stubborn stains wipe with a cloth moistened in warm water with a few drops of methylated spirits and some household detergent, then rinse with clean water using a well rung out chamois leather. Protect the frame with a piece of thin card. Where grime has built up on stained or leaded windows brush it off gently with a soft bristled brush and as long as the surface is stable, clean with cotton wool moistened with the same methylated spirit and detergent solution used for mirrors. Before dismantling a cut glass chandelier for a major clean, photograph the piece intact, and work out a system of identifying the lustres so that you know where to replace them. Turn off any electrical connection and don’t allow water to seep into the hollow branches of the chandelier. Wash the glass lustres in a detergent solution, checking that the metal hooks are sound, rinse thoroughly and dry immediately to prevent corrosion of the metal, then Polish with a soft lint free cloth. Whenever breakage occurs, as it surely will, wrap every broken piece seperately in acid free tissue and collect even the smallest shard. Resist any temptation to try and fit the pieces together yourself as you will damage the nice crisp edges. Do not be tempted to repair a valuable antique piece yourself, as modern adhesives that are strong enough to form an effective join are usually irreversible. If it’s glass then its rare this can be mended invisibly, unless the break is at a convenient joint. However, synthetic resins with a refractive index similar to that of glass are now available and cracks and holes can be filled. Chips can sometimes be ground out with a minimum loss of value. And a professional restorer may be able to recreate missing pieces such as a decanter stopper or the blue glass liner of a salt. Ceramics can be so skilfully repaired with modern adhesives, and then repainted or glazed that the original damage is almost undetectable. However, the restored area may discolour over time, especially if it’s exposed to water and some glazes can never be faithfully reproduced. Without the proper skill, time and patience an amateur repair will always appear that way and a more complicated and expensive professional repair may be needed at a later date. Caring for Antiques that are Valuable … If your antique ceramic or glass is greatly valued for sentimental reasons or if it is worth a significant amount then always take it to a professional repairer or restorer as soon as possible.